Posted on August 24, 2013 by Lena K.
It’s been a while since I last posted my list of manga recommendations for you and if you haven’t read it and want to see the titles I listed there, click here. Lately great manga keep popping up out of nowhere and other manga, that I thought were dropped, are worked on again, so there’s a lot of great yuri manga being translated right now, which is absolutely awesome. Just like last time, I would like to name some nice ones for you and give you some information about them, to make the decision of “What to read next” a little easier for you. Enjoy! 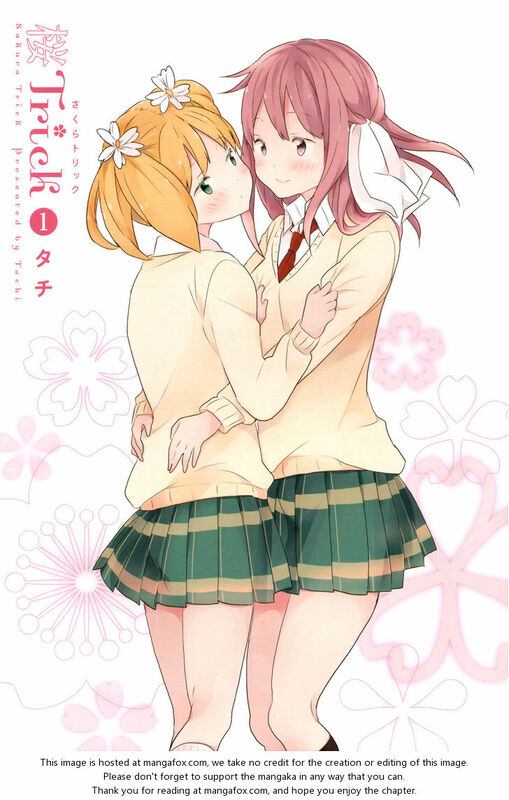 Description: This manga is a collection of inter-linked stories that mostly feature selected moments in the life of Mika, a young lesbian woman, who claims to only aim for older women. Throughout this manga, we see how Mika manages to go through good times, as well as bad times and how she mostly deals with it, all in a surprisingly mature way. For some reason it took me really long until I finally started reading this manga and I can honestly say, that I regret hesitating for so long. I have rarely seen such a great protagonist in yuri manga and I absolutely enjoy how “Fragments of Love” guides us through some of the most important moments of Mika’s life. Description: Yuu and Haruka are best friends and have ever since spend a lot of time together. When entering senior high, the two of them get to know a lot of new people and end up sitting in the opposite sides of the classroom. Since they both realize that spending time together is getting harder and harder, they decide that something needs to be done, to keep their relationship special. There are not that many chapters translated yet, but if things stay the way they are, then expect lots of kissing, cute characters and some really cute comedy. Description: From when she was a child, Sasami always admired those who fight for justice and has thus always aimed to work for the police. And after years of training Sasami really managed to fulfill her dream and become a police officer. As her first assignment she is send to an all-girls school, to work there undercover and check whether anything unusual is going on there. Unfortunately she is not as skilled as she would like to be and ends up almost revealing her true identity by trying to capture a seemingly suspicious student. 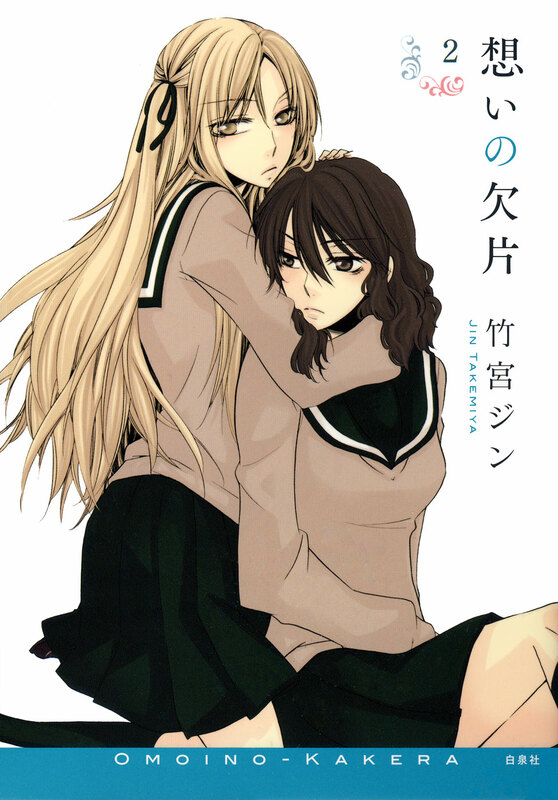 When it comes to Milk Morinaga, you can almost be sure to find yet another great yuri manga and Gakuen Police definitely doesn’t make an exception. This one is a little different than her usual love stories and the romance is also happening a little slower. 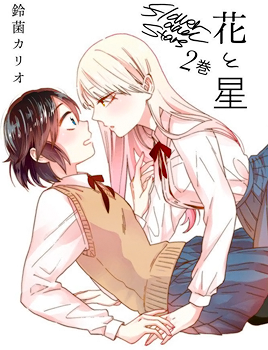 But I think that’s one of the aspects I like most about her manga, love needs some time to happen and we surely will see some nice yuri moments in this one as well. Description: Akabane Aya is probably one of those people you never want to make friends with. She constantly harasses her friends, lies on a daily basis und tries to outrun her friends and classmates in everything they do. Unfortunately for her, she usually ends up making a fool out of herself or simply hurting herself in the process. As mentioned in my previous review about this manga, most of you will probably not like this one very much. So prepare for stupid and perverted humor with a lot of weird characters and some absurdly crazy happenings. If you can actually handle that, then I’m sure you’ll come to love this one. Description: At a boarding girls’ high school where every student is an assassin, they target only one life – “Ichinose Hare”. Similarly, “Azuma Tokaku” is an assassin who transferred schools to target her, however she gradually became attracted to “Hare” and decided to protect her. Extreme school life START! I haven’t really had the time to start reading this one yet, but for the simple fact that this manga is getting an anime adaption in 2014 as well, you could almost say I’m obliged to read and see what this is all about. So let’s all hope for some nice yuri in this one as well. This entry was posted in Manga, Recommendations, Yuri and tagged Akuma no Riddle, Fragments of Love, Gakuen Police, Gokujo, Sakura Trick, The Flower and the Star by Lena K.. Bookmark the permalink. This is a nice little list of Yuri. I am in love with Fragments of Love and really anything else Jin Takemiya does. 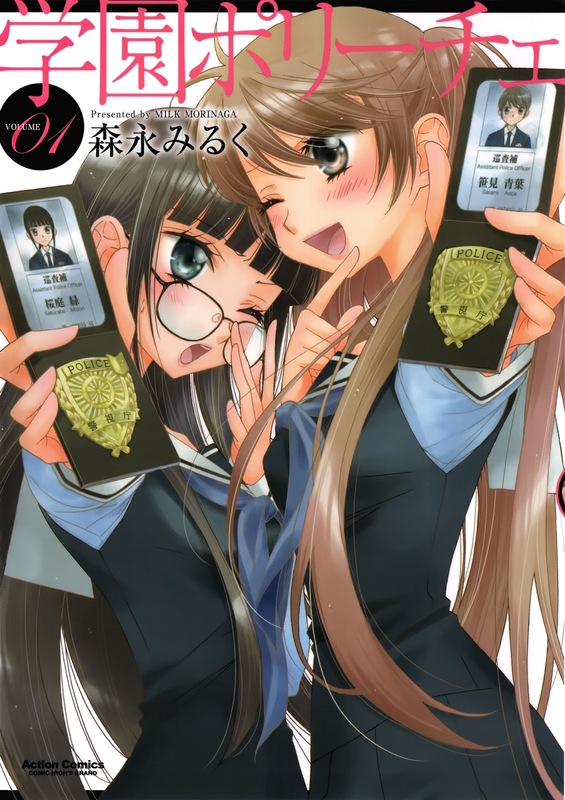 Gakuen Police may not be as Yuri-fied as Milk Morinaga's other series, but it does have more likable characters and a more interesting story. The Flower and the Star is just a lot of fun. Akuma no Riddle is the only series I haven't read, for obvious reasons. I'm always looking forward to more Yuri anime, but I do have some reservations about such a dark looking series. It's like you say, the fact that it's getting an anime adaptation we're obliged to read it. It's funny how I usually wait so long until I start reading one of Jin Takemiya's works because I just don't like the art that much, but when I finally do read one, I immediately fall in love with it. I also think that the amount of yuri content in Gakuen Police will just slowly grow, so we'll probably have to wait a little longer until the two main characters will show some more affection for each other. Boah habe ich erstmal Akuma no Riddle gesuchtet. Daheim den Anime geschaut und unterwegs den Manga gelesen :'D Find es immer toll, wenn mal nen Yuri-Manga animiert wird und es sich tatsächlich nicht nur um Romanzen dreht, sondern noch ein anderer Plot mit dabei ist. Geht mir genauso. Leider kommt es in meinem Fall nicht so oft vor, dass Mangas animiert werden. 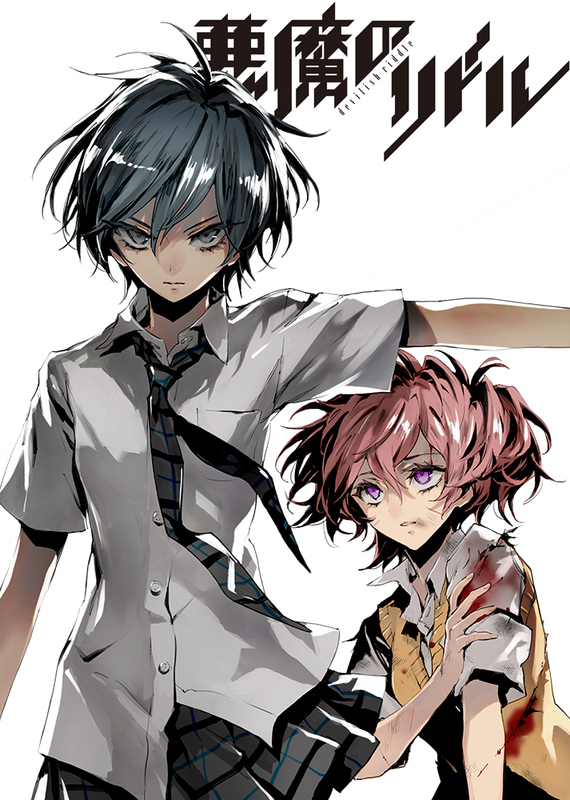 Bei dem Akuma no Riddle manga wünsch ich mir echt wenigstens noch nen Kuss zwischen Tokaku und Haru, aber bitte nen richtigen. Jaaa, Chitaru und Hitsugi haben ja schonmal eine bekommen. Dann sollten die beiden das ja wohl auch kriegen. Fande ja schon die Szene schön, wo Tokaku zu Haru sagt, dass sie auch nach ihrem [Tokakus] Tod weiterlächeln soll, da es besser zu ihr passt. Ist ja auch Manga-exclusive. Ich fliege nächstes Jahr im September/Oktober nach Japan. Ich werde soooo die Yuri-abteilung suchen und einfach ALLES kaufen haha. Ich gehe auf jedenfall nach Tokyo. Bin ja 2 Monate da (Findet meine Freundin auch net so klasse möp ^.^') Ich nehme deine Empfehlungen dann also sehr gerne entgegen 😉 Mach nen paar Fotos ja? Ganze 2 Monate? Das wird doch sicher ziemlich teuer oder? Japanisch lerne ich gerade, aber meine Begleitung kann das zum Glück bisschen besser als ich, sonst wären wir wohl bisschen verloren, gerade weil so wenig Leute wirklich English sprechen können dort. In Tokyo geht es mit englisch glaube ich sogar noch. Zumindest, wenn man die jüngeren fragt. Lädst du dann n paar Bilder hoch? Wäre voll cool 😀 Ich bin für nen Erfahrungsbericht – kannst ja n bissle Yuri miteinfließen lassen, damits hier hin passt hehe.